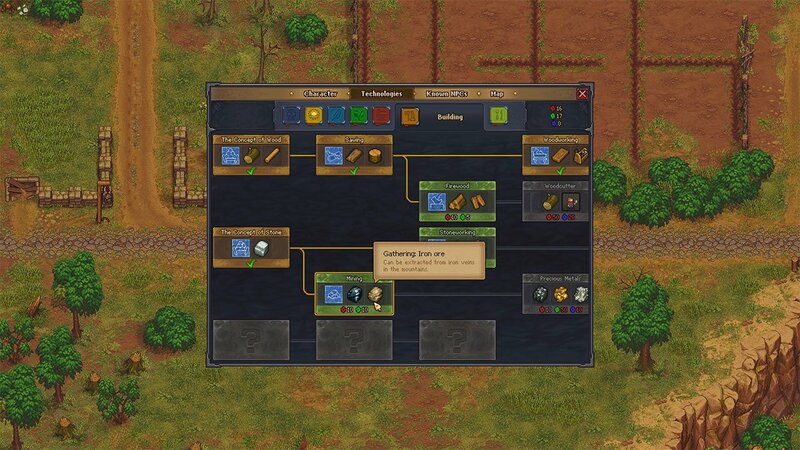 Iron Ore is a resource which you can mine in Graveyard Keeper. It has many uses with one of the main being the creation of Iron Ingots in a furnace. You can then turn ingots into Simple Iron Parts, which are one of the most needed resources in the game. Luckily, you can do mining early on into the game, without having to even repair the bridge. You can find iron ore behind your house, with more being found later on in the swamp areas. 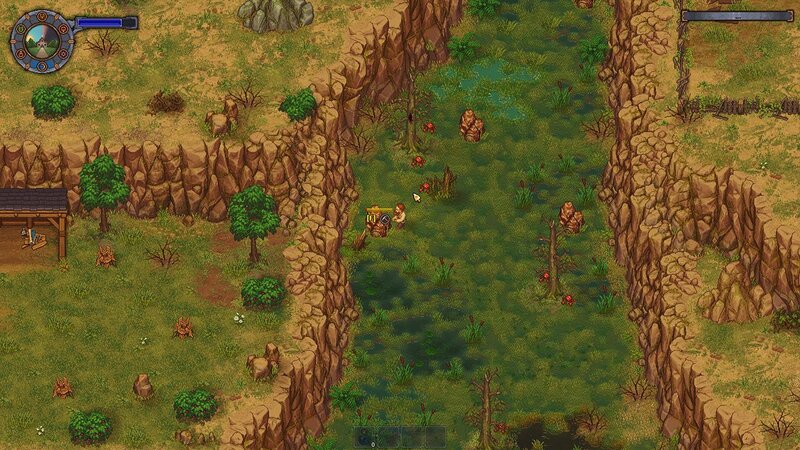 Below, we have a guide for where and how to mine iron ore in Graveyard Keeper. Whilst we have many more guides for the game available here. How to Mine Iron Ore.
First off, you will need to unlock the right node in the technology section. Under ‘Building’, look for the mining node. It is highlighted below, and allows you to collect iron and coal. Unlocking this technology costs 10 red and 10 green points. Once unlocked, you can use your pic-axe to mine any iron ore deposits that you find in the game world. The easiest place to find them would be behind your house. There is a swampy area that has a few bits of ore dotted around. Although the area behind your house has a few enemy slimes, so make sure you have your sword ready. You will receive a few pieces of ore for each deposit, which you can then take back to your house to put into a furnace. Once you have cleared this area, you can head West of your graveyard to find a broken bridge. Repair this, and you will find a new area which is full of more Iron Ore for you to mine.